National Military Appreciation Month in May was designated by Congress to give Americans time to reflected back on and show our thanks for those who serve, served or gave their lives for this great country we call the United States of American. I am very proud of my wife who served in the Army for 5 years. She continues to serve in the State Military of California alongside the National Guard. Looking back on military history allows new generation’s time to learn about what happened and time to prepare for the future. Our world is every changing and getting smaller and smaller by the year. It is up to us to remember our history, to remember our victories as well as our failures to keep America great and free. Public Service Recognition Week (PSRW) is organized annually by the Public Employees Roundtable (PER)and its member organizations to honor the men and women who serve our nation as federal, state, county and local government employees. Victory in Europe Day, generally known as V-E Day, VE Day or simply V Day was the public holiday celebrated on 8 May 1945 to mark the formal acceptance by the Allies of World War II of Nazi Germany‘s unconditional surrender of its armed forces. It thus marked the end of World War II in Europe. 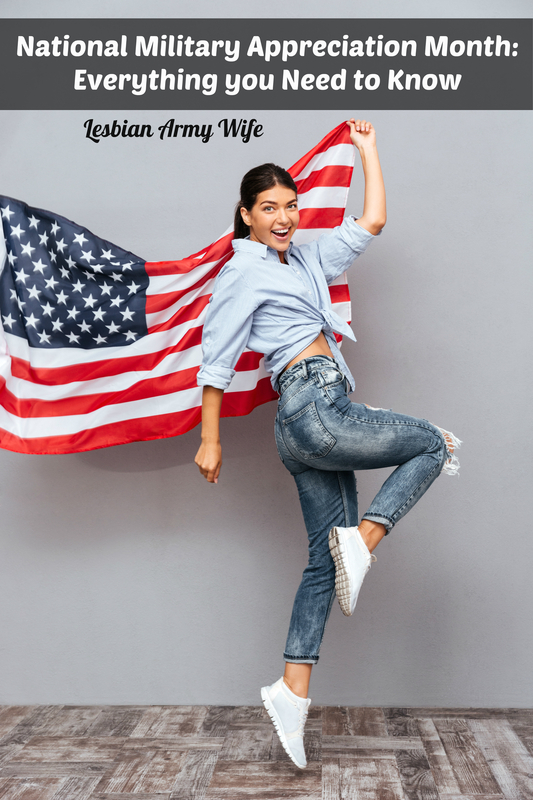 Military Spouse Day or Military Spouse Appreciation Day is celebrated on the Friday before Mother’s Day in the United States. Many United States citizens take this day to acknowledge the significant contributions, support, and sacrifices of spouses of their Armed Forces. Each year, the US President normally commemorates this day with a ceremonial speech and proclamation. President Harry S. Truman led the effort to establish a single holiday for citizens to come together and thank our military members for their patriotic service in support of our country. 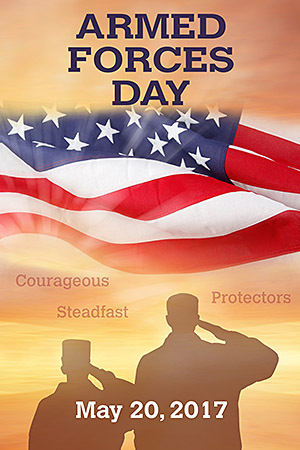 The single day celebration stemmed from the unification of the Armed Forces under the Department of Defense. Engage in social media to highlight military and veterans. Send a care package to a soldier through USO. Donate to “The Wounded Warrior Project” and support the thousands of wounded warriors and their families. Encourage elected officials at all levels to recognize our military and veterans. As a business, when offering military discounts, include all who serve and have served or hire a veteran. Like National Military Appreciation Month (NMAM) on Facebook. When you see a person in military uniform, shake their hand and thank them for their service. May is also American Military History Month learn something new. Have I left anything out? Leave a comment and share your thoughts!